For your car to be able to get from point A to point B without having to stay trudging along in first gear, it needs a working transmission. The transmission allows the vehicle to change gears, thereby transferring power from the engine to the drive axle in the most efficient way possible. It does this by varying the gear ratio. In lower gears, this increases available power while reducing speed. Higher gears, on the other hand, reduce power and increase speed. This enables cars to distribute power and speed in the most efficient way for any given situation. But whilst everyone agrees that a transmission is absolutely vital to the inner workings of any car, there is no general consensus regarding what kind of transmission is better—automatic or manual. So, before you make any decisions regarding where you stand on the transmission debate, take a few moments and familiarise yourself with the benefits associated with the two different kinds of transmission. Easier to use – Although there’s nothing inherently difficult about shifting gears and working a clutch, it still takes a bit of practice before most drivers are comfortable learning to use each of their limbs independently in order to control a manual transmission vehicle. Automatic transmissions, by comparison, are much simpler and take drivers significantly less time to learn. Less manually restrictive – Most new drivers are taught that the safest way to drive is to keep both hands firmly on the wheel at all times. This is possible when driving an automatic transmission vehicle, but is not possible with a manual transmission. Better for hilly areas – If you’re a less experienced driver, you may find that navigating steep inclines in a manual transmission is difficult, especially if you’re attempting to do so from a dead stop. Automatic transmissions take care of this issue, enabling your car to operate efficiently no matter how steep the hill might be. Greatly reduced risk of stalling – There are few things more embarrassing and awkward than accidentally stalling your vehicle right when the traffic light changes. This isn’t a common problem for those driving automatic transmission, where stalling will only occur if there’s a mechanical problem in the vehicle. Easier to use in heavy traffic – Overall, more work goes into starting, accelerating, decelerating, and stopping manual transmissions. This isn’t normally a problem, but in heavy traffic where a car isn’t able to get up to speed, drivers may notice that the constant starting and stopping becomes a difficult chore. Automatic transmissions allow the driver to move through heavy traffic without having to do more than push a single pedal. Less expensive to purchase – If you’re car shopping on a budget, then there’s really no contest between the manual and the automatic. On average, a manual transmission will cost you about a thousand dollars less than an automatic of the same model. Cheaper to maintain – With all of the added machinery that goes into the automatic transmission, it can end up costing you big bikkies just to keep it running properly. Manual transmission cars require very little maintenance, and generally maintenance and repairs end up being significantly less costly. Be warned, however, because one thing that a manual has that the automatic doesn’t have to worry about is the clutch, and if that thing quits on you, then you could be in trouble. Better fuel efficiency – Overall, manual transmission engines are less complex, weigh less, and have more gears than automatics. The end result is that you’ll end up getting more kilometres out of the petrol you pump in than you would with an automatic. Manual transmissions have been known to save drivers between 5% and 15% on their fuel costs. Less likely to be stolen – With the increasing number of automatic transmissions finding their way onto roads, there’s an entire generation that has never learned the finer points of manual transmission operation. This means that should a car-thief decide to give your car a closer inspection in preparation for stealing it, there’s a fairly good chance that simply having a manual transmission will be enough to deter the criminal. Better control – Automatic transmissions are designed to choose the best gear for any situation, but they tend to err on the side of caution, shifting to too high of a gear and wasting engine power. At the same time, they are built to respond to conditions as they are encountered, which doesn’t allow for drivers to either anticipate an oncoming condition, or to purposely select a lower gear for an added boost of power. 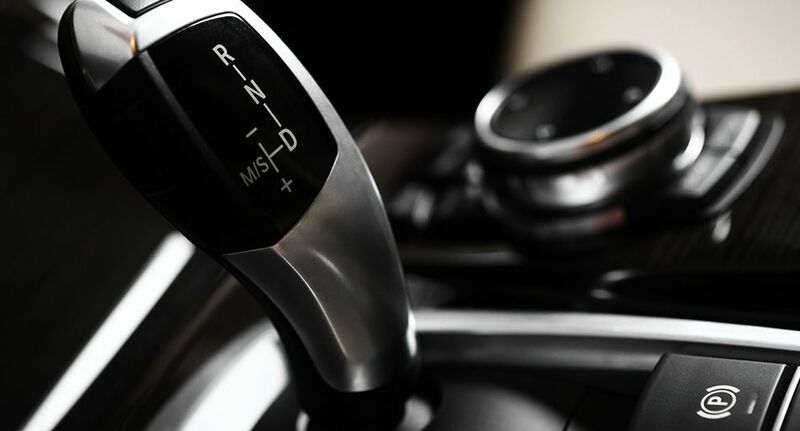 Manual transmissions give drivers greater control over the vehicle. Of course, there are exceptions to any rule and the only way to be sure which one is right for you is to go for a test drive. After all, you may need to get from point A to point B, but it’s completely up to you how you make the journey!